Delivery of exclusive and special flowers in Riga and Jūrmala within 2h from the moment of the purchase. We will make the flower composition or flower bouquet for your very special occasion from flowers and color combinations you choose. 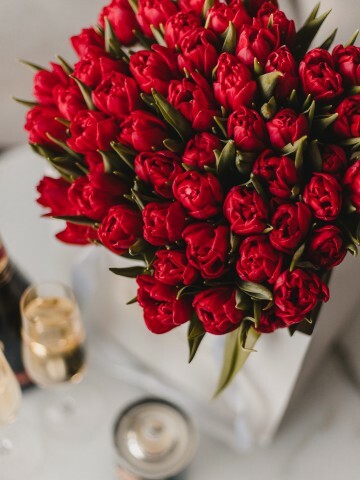 Our professional florists work with latest season fashion tendencies and highest quality Red Land roses daily, therefore our flower compositions will always be original and unique! We strive to do our best so that our special flower deliveries become most unforgettable moments for you! It is so easy to make someone happy and make an unforgettable gift by ordering flowers! You can order flower delivery from our website or contacting us directly by phone or email. 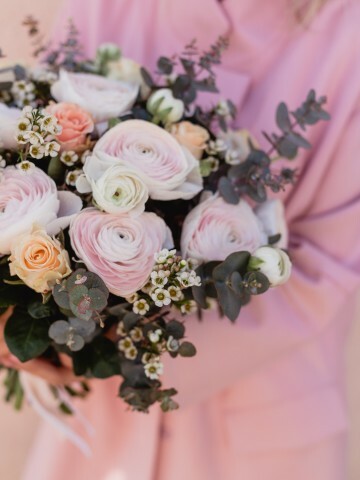 How to order a bouquet? 1. You choose flower bouquet from our catalogue. 2. Fill out all necessary information about delivery address, date and time and make a payment by credit card or by PayPal. 3. We acknowledge your order and inform you about fulfilment. Special flower delivery (out of working hours, adding gift or special greeting) is possible by agreement. Just give us a call! 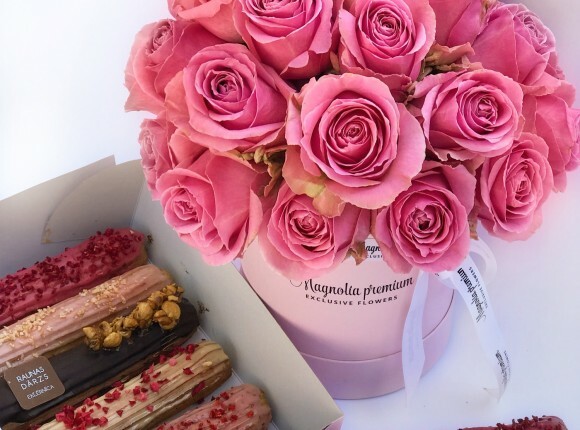 Ordering flowers on special occasions and dates such as February 14, March 8, Mother day or others, must be made 2-3 days in advance to ensure timely execution of the order. 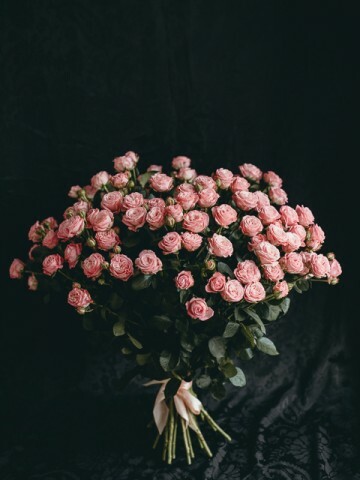 Magnolijas zieds is only flower wholesaler in Latvia who offers highest quality roses from leading flower farms in Kenya and Ecuador as well as rich assortment of seasonal flowers and exotic greens. We offer modern and original vases from Scandinavian manufacturers, candles and candle trays. 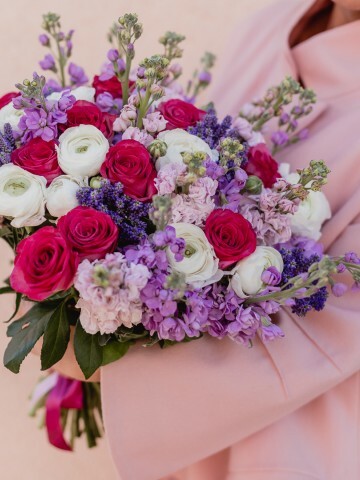 Our professional and talented florists follow latest fashion tendencies and will make beautiful bouquets or flower boxes according to you individual wishes. Amazing flower surprises that will remain in your memory for long time! How our roses differ from others? 1. Twice the size of flower head! 2. Surprisingly long vase life! 3. Roses possesses excellent texture and form! 5. Can be gifted as a single rose and still look posh! 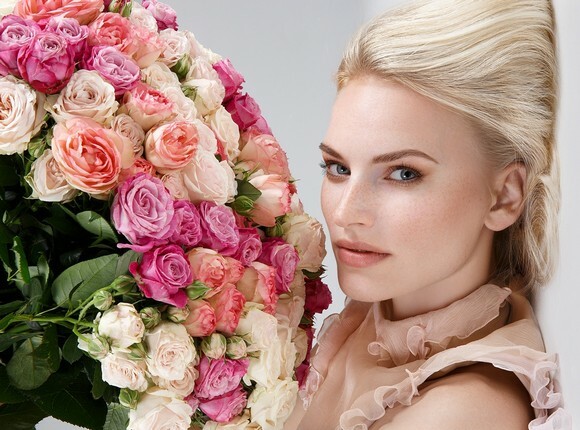 We guarantee – you can’t find better present, that would ignite more positive emotions than bouquet of our roses! We always have fresh roses at our restaurants, which are associated with love. It is important to me to know from where does flowers come and how long they will live in vase therefore I fancy flower depot Magnolijas zieds. I believe that message is over quantity when you give flowers. Flowers can change much even when words are helpless. When someone feels sad or is happy or longing for attention – give flowers and enjoy the warmth of heart pouring out in return. Thank you for good feeling you give to people! Thank you for most fresh, widest assortment and wonderful flowers money could buy at Magnolijas Zieds! I always buy flowers at Magnolijas Zieds, because there is wide assortment, flowers are always fresh and service is fantastic. Flowers are great way of expressing your feelings. We men love women, even if we don’t say that laud! Flowers from Magnolijas Zieds are special and each with it’s story. Professional florists create beautiful bouquets. One should not wait for red calendar dates to give flowers. Delight for giving flowers without reason many times exceeds joy when you give flowers for official occasion. It is better to have roses on table than diamond necklace around your neck said one famous actress. I totally agree with her with one small nuance – better have both and flowers from Magnolijas zieds. I vote for beautiful and quality things, Magnolijas zieds have not disappointed me.